The Mapping Network and Absolute Natural Resources teamed up for a mapping project on the southwestern edge of Denver, CO. 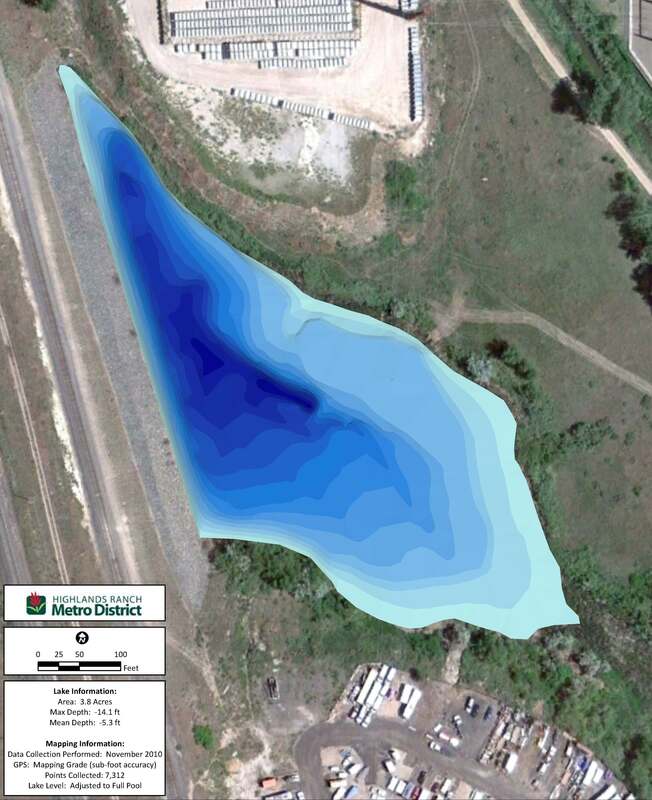 The client, Highlands Ranch Metropolitan District, requested the creation of a detailed lake map for understanding true depths, volume analysis and identify areas needed for dredging. 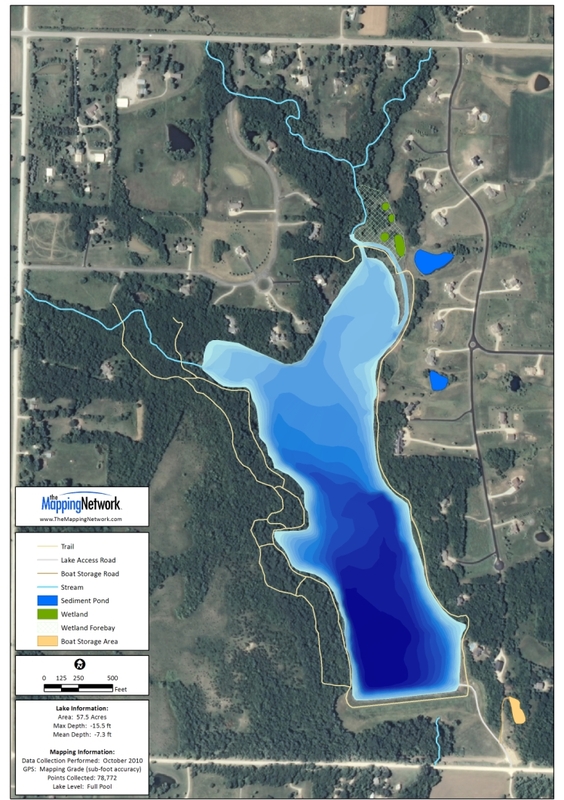 Aerial map showing color-shaded depth map of the lake. This entry was posted in Lake Map and tagged Absolute Natural Resources, Bathymetric Map, Colorado Bathymetry, Colorado Lake Map, Denver bathymetry, Denver Lake Map, Dredging, Fishing, GIS, GPS, GPS Lake, GPS Map, Habitat, lake, Lake Management, Lake Map, Lake Mapping, Lake Survey, Sediment, Sedimentation, Survey, The Mapping Network, Waterfowl on December 14, 2010 by Moderator. 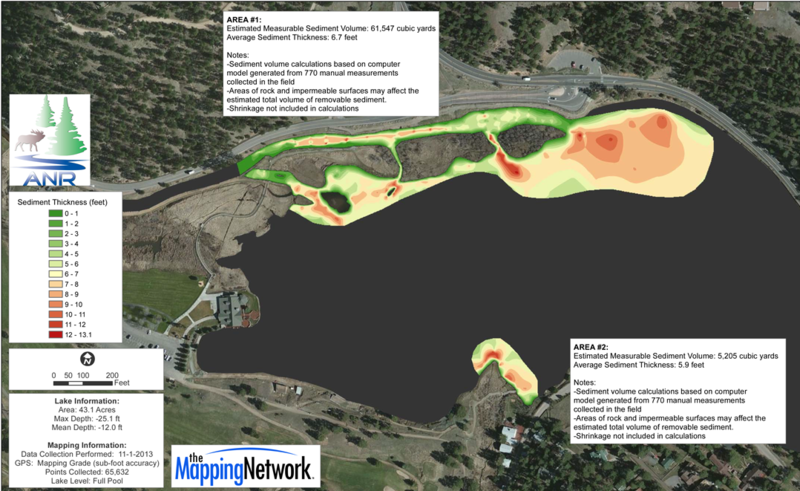 Upper Soda Lake, part of a popular recreation area in Lakewood, Colorado (suburb of Denver) was recently mapped by Absolute Natural Resources, LLC. The resulting bathymetric lake map will assist management decisions by understanding the topography of the bottom of the reservoir. The public will also enjoy the benefits of a new, accurate lake map by easily identifying areas to fish. 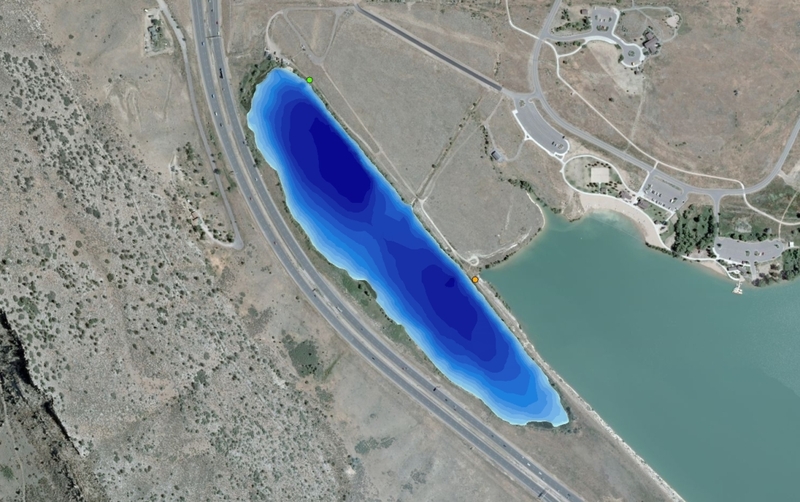 This entry was posted in Lake Map and tagged Bathymetric Map, Colorado Bathymetry, Colorado GPS Map, Colorado KML Lake, Colorado Lake Map, Fishing, GPS, GPS Lake, Lake Management, Lake Map, Lake Mapping, Lake Survey, Sedimentation, Survey, The Mapping Network on June 28, 2010 by Moderator.